On Saturday August 10, 2019 we will hold our one and only plant sale to the public. 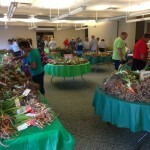 The sale begins at 10 am and ends at noon at Franklin Park Conservatory downstairs in the classrooms. 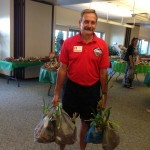 This sale consists of plants donated by members from their gardens and the plants dug from the Hybridizer garden. There will be some interesting finds at this sale and very reasonable prices. We usually charge $5 or less for plants that are year 2000 or newer and much less than that for older plants. All plants are bare root. Yes, we do now accept credit cards at the sale. You will find some great hard to find plants at this sale including some gems dug from the hybridizer garden at the Franklin Park conservatory. A members meeting and auction follow the sale at 1 pm. Stay for a while and maybe join our club. 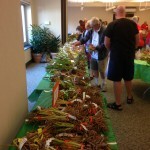 Then you can then bid on the auction plants as a member! Proving enough is never enough.